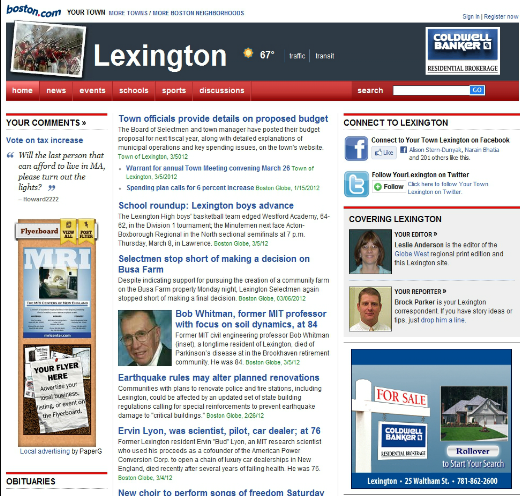 Lexington a fortunate to have four active news publications with four different perspectives on what is going on in Lexington: The Lexington Minuteman, The Lexington Patch, Colonial Times Magazine and Lexington Your Town from the Boston Globe. 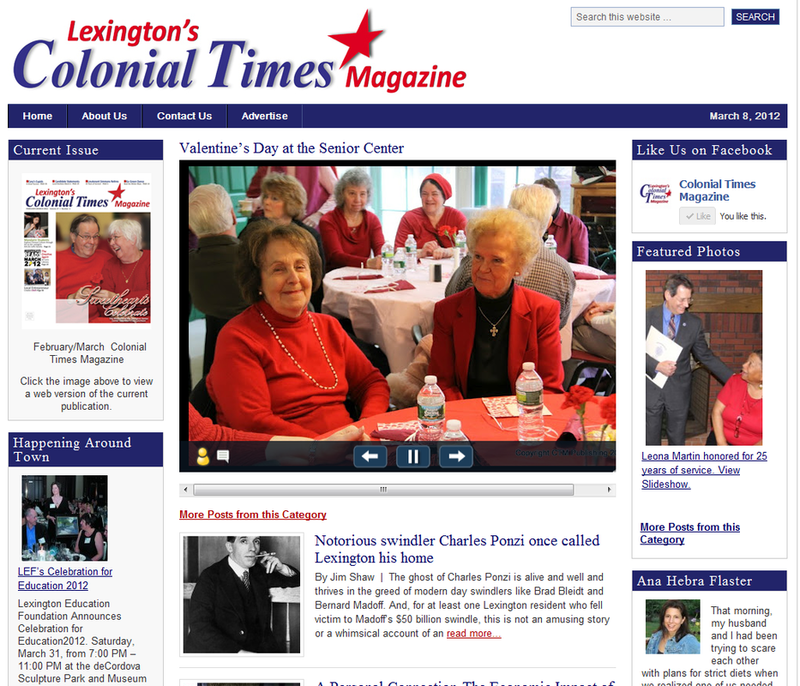 The Colonial Times Magazine is a monthly review of activities going on in Lexington. The Lexington Minuteman was founded in YYYY and is the oldest newspaper in Lexington. 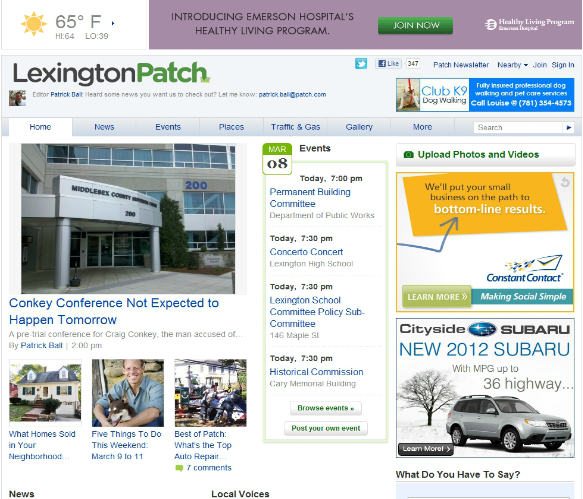 The Lexington Patch is an online newspaper, part of the AOL backed local newspaper system. The Boston Globe has joined the fray in providing local news. This website is not as well known as the other three on this page.